You are currently browsing the archive for the Steve Gurney category. 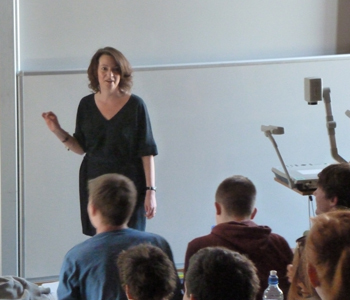 Dr Sally Lloyd-Evans, Senior Lecturer in Human Geography has been awarded the ‘Gold Star Award for Best Lecturer in the Faculty of Science’ by Reading University Student’s Union. Dr Steve Gurney, Senior Lecturer in Geomorphology, was short-listed for the award for the second year running which demonstrates how well-deserved Geography’s excellent reputation for teaching quality is.